It happens when you least expect it, we all have sudden breakouts, sensitivity to certain products or foods and general irritation on our skin. 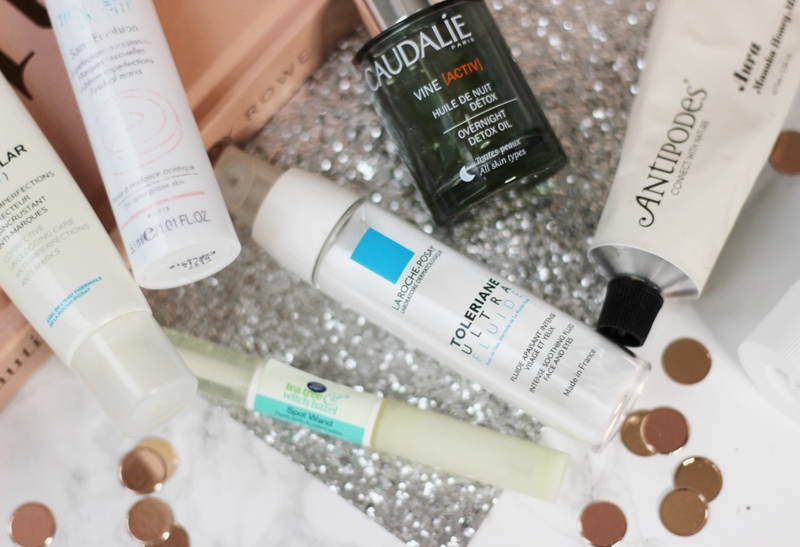 Now assuming you follow my beauty commandments which I’m sure you do (!) 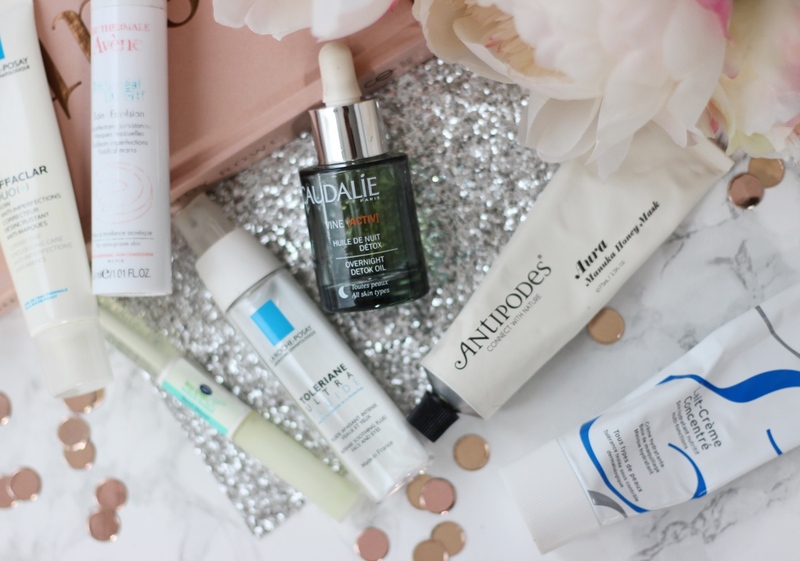 then I have a few products which are my personal saviours when things go a bit pear shaped (or the skincare equivalent. ) Here are my skin SOS secrets! Let’s start with the most common one, the random breakouts! How annoying are they? So usually you can feel a tingling under your skin and your know a couple are about to visit, sometimes you can stop them altogether but usually they will still come but my tips help them to disappear quicker! I use a combination of products to help me out here, I start off with a light layer of the antipodes aura manuka honey mask and then add a light layer of the La Roche Posay Effaclar A.I. Breakout Corrector (my hero product for breakouts) and then I finish off with a dab of the Boots Tea Tree & Witch Hazel Spot Wand. I apply these products to the affected area or areas only, not all over my face. In the morning, I will simply use the La Roche Posay Effaclar A.I. Breakout Corrector on the effected area and the Boots Tea Tree & Witch Hazel Spot Wand, the daytime end if there is a full on breakout. Repeating this process for a couple of nights usually does the trick but sometimes I may need to add a clay mask just to the affected areas and leave overnight. Using a clay mask can dry out the breakout areas, leaving those nice flakey dry skin bits so then the following night I will use the Claudalie Overnight Detox Oil, this also helps with dark marks left from the breakouts. For the painful breakouts that seem to be out of control, I use the Avene TriAcnéal Expert on it’s own just to the affected areas. This is not something I would use daily, just when you need it or if you feel like a breakout is coming. It does leave yellow stains on your pillow, so only use as and when you really need it! During times of breakout I also consider things like washing my makeup brushes, stress, lack of sleep and hormones. To help out, I take supplements such as the Pink Cloud pink lemonade. This makes a huge different to the general well being and look of my skin. Another huge help for hormonal skin are these Efamol Woman Pure Evening Primrose Oil capsules, I’m supposed to take them everyday to balance out the hormones but I forget so I take them when I start to feel cramps (around once a month when breakouts seem to happen more!) These capsules also help with mood swings too as they balance your hormones. I do try out a lot of skincare products and from time to time my skin just does not agree with some products. It’s horrible when this happens, a skin reaction can be a rash all over the face or even under the skin and it can be really itchy. Obviously if it is really bad, swollen or weeping then you need to see a doctor but if it’s not that bad I have a few handy tips. First of all, stop using anything that you think it may be. If it is just one product that makes it easy, just don’t use it. However, if you have used a few products and you are not sure which one is the culprit then stop them all until you figure out what it is. 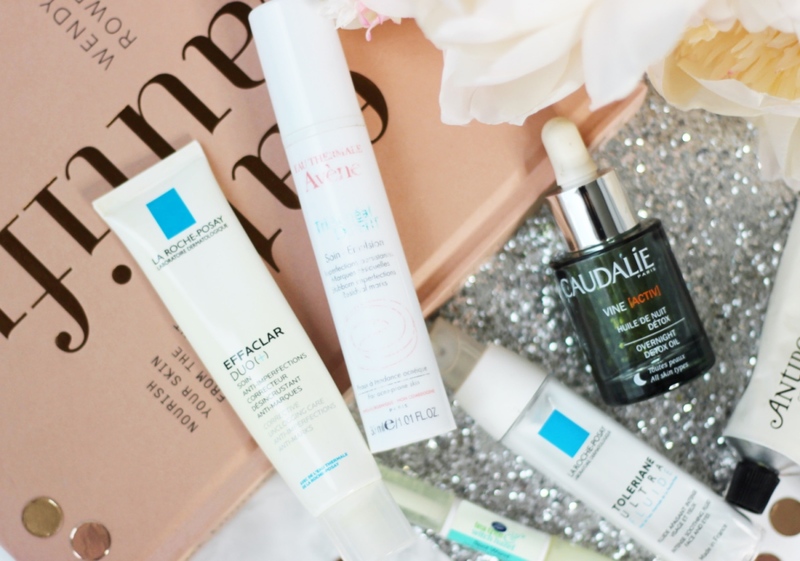 I use the La Roche Posay Toleriane Ultra Fluid, it is so good for soothing irritated skin. I then go back to using my most reliable cleansers, serums and moisturisers, the ones I know I can rely on and that I know my skin loves. Keep it simple, less is more when your skin is reacting to something so just let your skin breathe and get over whatever has irritated it. Of course take your supplements to help the process of new skin cell renewal and drink more water than usual to flush it out of your system. When my skin reacts to something, it usually ends up very dry so I need all the hydration my skin can get.